SOTD : 18th August 2018. Prep: Cool shower:/ L'OREAL~ Hydra Sensitive Birch Sap Shower Gel. Soap : Scottish Fine Classic Shaving Soap. Cold wet flannel/ cold wet flannel to rinse my face. Cold Water Face Rinse./Homemade Lemon,lime +Peppermint Oil & Menthol Crystals Witch Hazel Mixture./Aloe Vera Gel. Brut ~ Alaska A/S Lotion. A early start for me again, due to me doing another half day at the mill...Needs must unfortunately at the moment. A new set up to start the weekend.The gillette sharpedge which is one of my favourite DE blades, every razor i've matched it up with i've had consistantly good shaves, today was no exception paired up with my vintage gillette slimtwist resulted in a very comfortable 3 pass + pick ups silky smooth shave, with no errors to report. 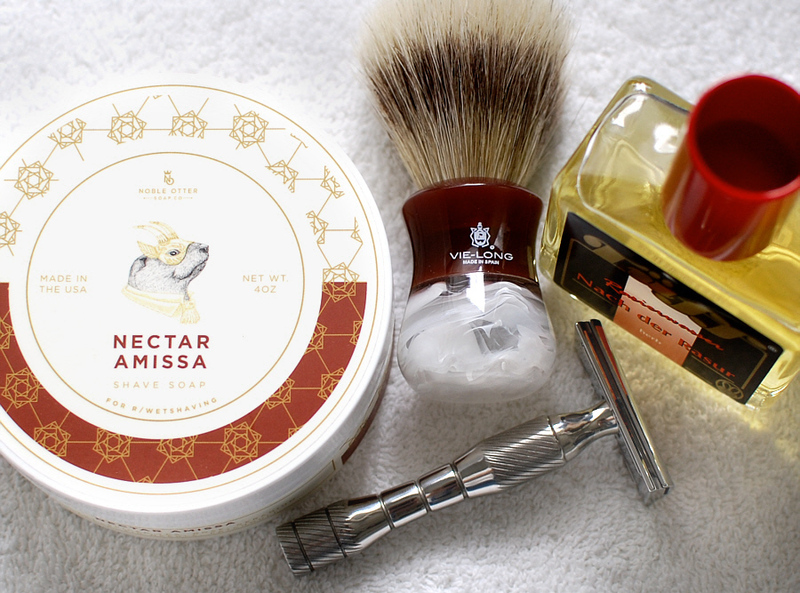 The scottish Fine soap as always provided me with a wonderful slick lather which made the shave a very enjoyable experience. 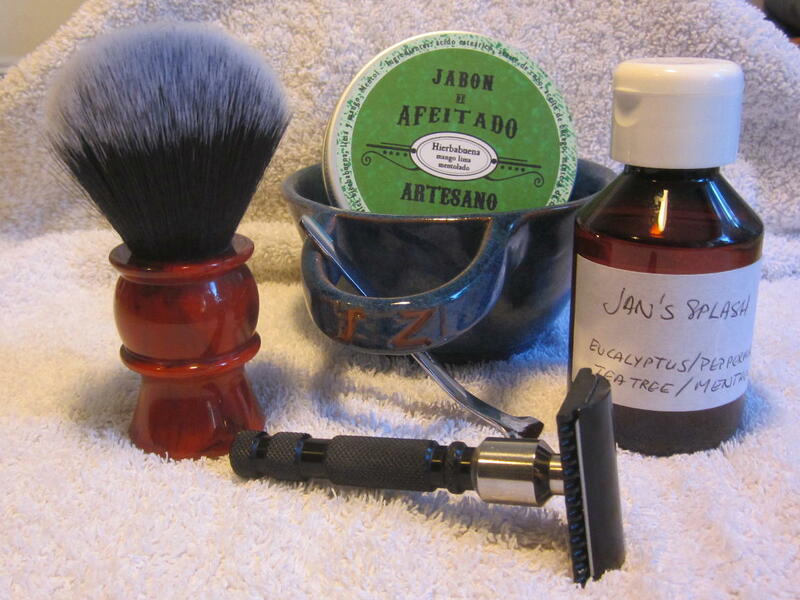 Finishing the shave off with a generous splash of Brut ~ Alaska A/S Lotion. My face is feeling super smooth & smelling devine. Enjoy the start of the weekend, ladies & gentlemen. Have a great weekend people.....P.
Jabones by Luna “Hierbabuena mango lima mentolado”. Feather New Hi Stainless (4). A dark, damp, grey morning was brightened up by a cheering shave. AIR SHOW SHAVE. Airbourne today at Eastbourne. 1 million visitors over 4 days. First impressions of the Mike’s are positive, but I will have to experiment a bit to get it just right. I adjusted the angle of attack with the Streamline this morning and hit the sweet spot. Excellent! But I will stick to a maximum of three shaves with the blade in future. It was just beginning to lose its edge by the second pass. Have a great weekend gents. Lovely shave apart from weeper on jaw line quickly healed with liberal splash of the very good Agua Balsamica. 5 days growth wiped away, the razor is a keeper. Quite simply SUBLIME! 4 days growth effortlessly, and smoothly removed with ‘The Rock’/Gillette Bleue Extra combo. The lather was provided by Ariana & Evans 'Portrait in Soho'.... the performance, and scent of which, is truly impeccable... that was just the shave that I needed, after the frustrations of the past week... Colour me happy..
Second use of the Ladas with this and, despite it performing well first-off, today felt a little uncomfortable and rough. I've still managed a decently-close and thorough shave regardless of this pitfall, especially when using the capable APR soap. Finished off with a strong alcohol burn from the splash and I'm feeling close, marginally uncomfortable but with no obvious irritation. 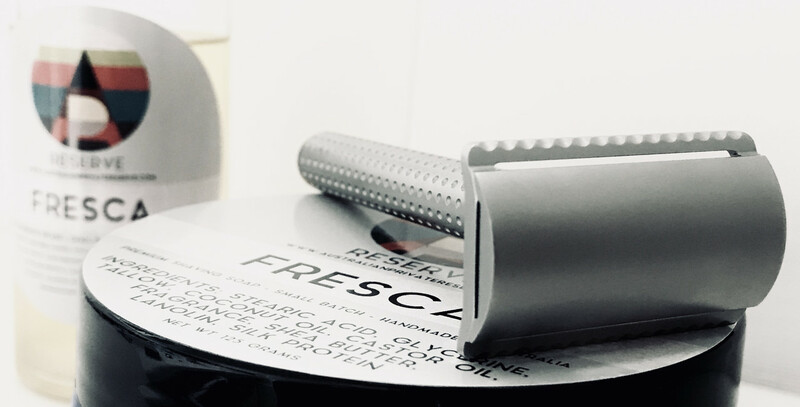 I'll be trying my go-to blade, the Nacet, with the next few shaves before passing this lovely little razor on. I have. I really like the smooth feel it gives when 1st applied.